SacMod’s highly praised and most requested event is back! 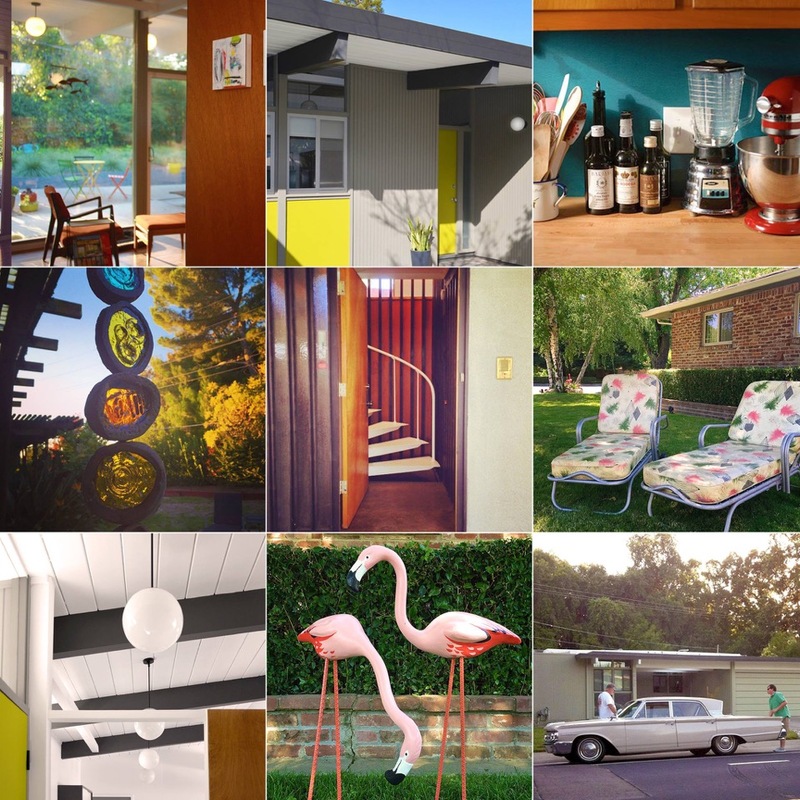 Join SacMod (Sacramento Modern) on Saturday, June 18, 2016 at the Sacramento Mid-Century Modern Home Tour from 9AM to 3PM. Tickets sold online here. To order tickets by phone, please call Brown Paper Tickets at 1-800-838-3006. Phone orders are available 24/7. Our 2016 tour will feature a wide variety of mid-20th century living — highlighting the time period’s distinctive architecture, design, and lifestyle. Spend a fun day touring some of Sacramento’s best mid-century homes, gardens, and vehicles in Sacramento’s beautiful South Land Park, Land Park, and Hollywood Park neighborhoods. From minimalist to kitsch, moderns to ranch homes, and everything in between. Our collectible guidebook features in-depth historic information, related points of interest, and local vintage resources. Space is limited — buy your tickets early to ensure you don’t miss out! – Advance ticket sales for members begins April 1, 2016 at 9AM. – General sales begin April 15, 2016 at 9AM. – Children walking – full price. TO GET MEMBER PRICING: You can become a member any time and receive special rates at this and other SacMod events. It’s easy! – Please click the link “Get Involved/Join” to purchase a 2016 SacMod Annual Associate Membership via PayPal – $25 for a year of membership. – Within 12 hours you will receive the password for member ticket pricing to use on Brown Paper Tickets’ site. Please note that sales on the day of the event are not guaranteed. The tour may sell out before the day of the event. Event day registration and check in will begin at 8:30AM, at Alice Birney Waldorf-Inspired K-8 School in South Land Park: 6251 13th Street, Sacramento, CA 95831. (Designed by Herbert Goodpastor in 1958.) Attendees will receive a wristband and guidebook at check-in. All tickets are will-call – all you need is your name to check in. Modern and vintage products from local designers and vendors will be displayed. Guests will receive a collectible guidebook that features addresses and a map, in-depth historic information, related points of interest, and local vintage resources. Guests will also receive complimentary bottled water (courtesy of Raley’s); the summer issue of Atomic Ranch magazine (courtesy of Atomic Ranch magazine); and retro candy, toys, and other small treats along the tour route while supplies last. – Homes will be open from 9:00 AM to 3:00 PM. Follow us at Facebook.com/SacMod to stay tuned regarding the most recent tour developments. a distinctive ranch/modern home designed by Leo McGlade and Associates (1962) in South Land Park. It takes very special and generous people who are willing to share their private homes! Homeowners this year have a great eye for design and are especially devoted to modernism. They include folks from fogmodern, Hepcat Restorations, Vintage Sacramento, and SacMod (Sacramento Modern). These homes also demonstrate that thoughtfully maintaining a mid-20th century home can be sustainable and economical. This year’s tour includes a drought-tolerant modern garden and a wonderful kitchen project that incorporates salvaged vintage cabinets. * Non-walking children must be carried and older kids must be accompanied at all times. Participants assume all risks and waive liability arising out of participation. SacMod is a 501(c)(3) non-profit organization founded in 2010 and is run exclusively by volunteers. 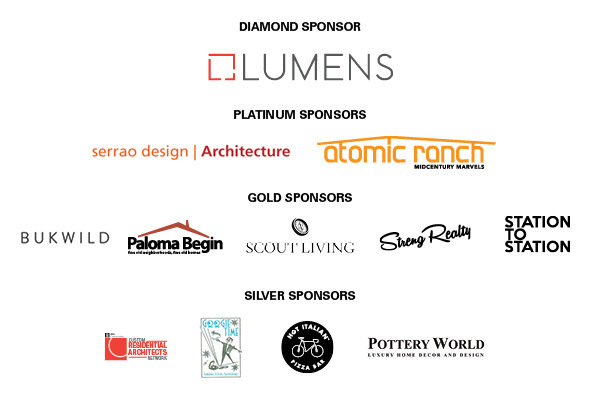 We are dedicated to preserving modern art, architecture, and design in the Sacramento region. We do this by conducting home tours, bike tours, walking tours, film screenings, preservation campaigns, conducting research and writing publications, and educating the public about modernism.